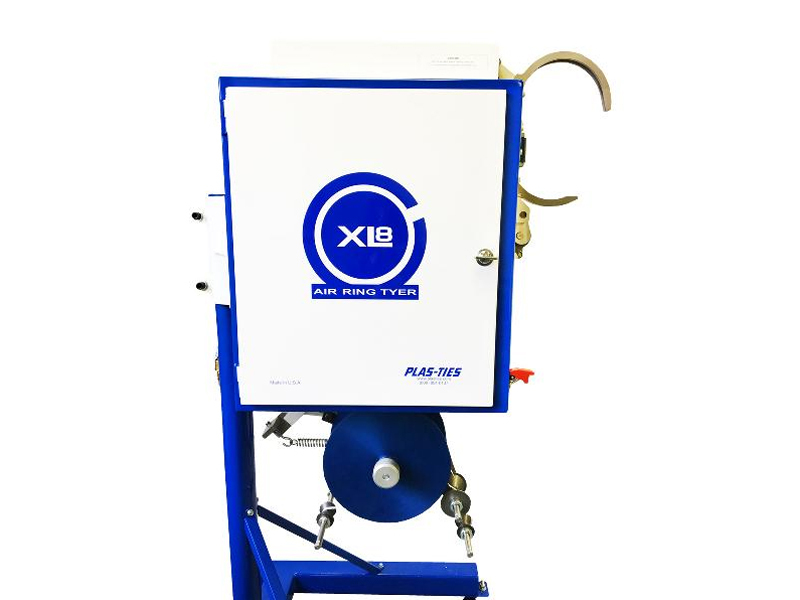 The Plas-Ties XL8 Air Ring Tyer is an all-pneumatic machine that twist ties products inserted into the ring-shaped tying area. 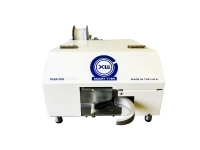 The machine can be adjusted to tie almost any product gathered into a round or nearly round shape from 1-inch diameter up to a maximum of 4, 6 or 8-inch diameter (dependent upon final ring size selection). 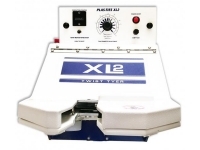 Enhanced safety features are built-in to each XL8 for maximum control and overall management of the machine. The ON/OFF Switch Safety Cover prevents accidental actuation of the unit. Secondly, the Safety Air Regulator on the Ring Cylinder restrains and retracts force applied from the ring. For complete maintenance control, the Shutoff Slide Valve halts the primary air path to the entire unit. 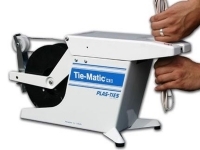 Plas-Ties’ recognizes that safety and maximum efficiency, are key to any business. Therefore, Factory Training for your staff can be arranged and custom-built to your needs and budget. 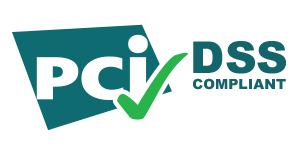 Specialized Technical Support is provided using online manuals, videos and phone support. If replacement parts are necessary, our extensive inventory can provide for next-day domestic delivery. 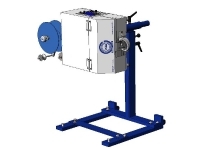 Maximum Capacity: Self-adjusting from 1" to 6"
Weight (with Stand): 200 lbs. Clearance depth without Table: Approximately 34"
Clearance depth with Table: Approximately 40"
Clearance width to open Door: Approximately 36"